Home Opinion Is Akufo-Addo Competent To Lead A Dignified People Against Imperialists? Is Akufo-Addo Competent To Lead A Dignified People Against Imperialists? Ntoaboma—Mr. Akufo-Addo at the moment has handed over seized Ghanaian lands to the Imperial Air and Land Forces of the United States of America for 20 million dollars. In return he will receive a strong American Military Base in Ghana, over which the president, Akufo-Addo, will have no jurisdiction—none whatsoever. 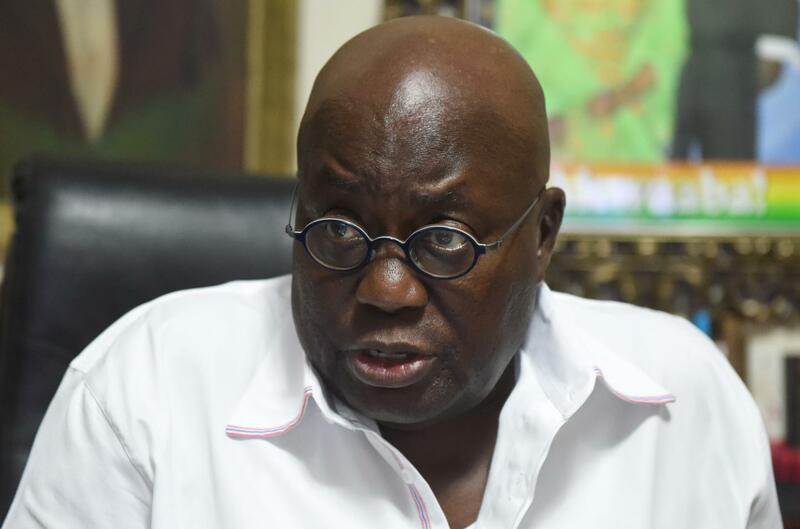 Mr. Akufo-Addo’s competence as president of Ghana now remains in doubt. What is the crucial question: Is Akufo-Addo and his friends capable of making good decisions? Not are they capable of being decent, humane, and empathic toward their wives, children and friends. Are they capable of being Machiavellian, successfully ruthless, basically rational bastards? This is the question plaguing the Ghanaian in light of this deal with the Imperial Forces of America. Background To Seizing the Land. If there’s a government law that folks in Ntoaboma fear more than any other law, it is the Ghana government’s sovereign power to seize Ntoaboma lands for so-called public purposes. This picture is no different in far-away Teshie, near Accra, the capital city, where government land-grabs have been more rampant and where it has been done with utmost impunity. The reality of “government lands” in Teshie, for instance, dates back to the beginning of colonialism. At its height the British Colonial Government seized lands for its mercenaries and forced payment to the tune of “what the colonial government deemed fit.” After independence, instead of reversing the trend, Nkrumah continued in the same tradition, seizing large swaths of lands, not for immediate government use alone, but for planned future public interest developments. That is, the government grabbed historical farmlands from natives— preventing them from making a living—in a bid to build bungalows in the future for American and Russian-educated Ghanaian lawyers. Even after his overthrow, when it became clear that the government was no longer interested in Nkrumah’s grandiose programs, those lands were never returned to their rightful owners. Rather a new breed of Ga chiefs and clan heads, some educated in various neocolonial institutions, decided to mimic their colonial masters of old and to act out Nkrumah’s passion: They too seized stool lands back again from the government, and sought to aggrandize themselves on the sale of traditional and family lands. Seizing Land and Signing Contracts with Foreigners. The curse of this impunity is made manifest in the new contract that Mr. Akufo-Addo has signed—in perpetuity—with the Imperial Armed Forces of the United States of America (IAFOUSA). In this contract, not only does the Imperial Armed Forces of the United States have a right to use Ghanaian lands, Ga lands, for anything they wish, they can also use the airspace and waterways that grant them access to these territories in any manner they deem fit. Without question. The fact: Land, and the airspace above it, is now being seized and given to the United States of America to build what—for all intents and purposes—quarks, swims, and looks like a foreign military base. How such an act of public land seizure from natives can be justified under the 1992 Constitution is only made possible through the government piracy law of Eminent Domain, which remains a serious corruption that is only made clear by examining its illegal origins in Little Britain and its colonial escapades in Africa. It is within this context of Eminent Domain that Ghana’s contract with the United States Armed Forces, signed by President Akufo-Addo, must be scrutinized. And it is in this final analysis that it is sufficient to question the competence of Mr. Akufo-Addo himself. Is he acting in the interest of the nation? How can one explain away the value to Ghanaians, to Gas, of an American imperial armed forces on Ghanaian soil? How is handing over Ghanaian territory to a foreign military power not an act of war, not an act of treason? What is Eminent Domain in Ghana? Simply put, it is the act of seizing what was hitherto actual public lands (stool lands, skin lands, that was, farmland for the people) for use by the neocolonial government, located in Accra, in the name of developing public goods, often parochial public goods. The neocolonial government in Accra, in many instances, has been exposed ceding Ga farmlands to Chinese estate developers for free. (Of course for kickbacks from Chinese oligarchs). Furthermore, some of these farmlands, around Kotoka International Airport, are not even seized with the intent to develop public infrastructure any longer, which was part of Nkrumah’s goal, but they are seized, surveyed and resold to the public at such exorbitant costs that the poor Ga farmers the lands were taken from in the first place can no longer afford them. The Demise of the Many Millions of Inconvenient Ghanaians. The neocolonial government land condemnation for the sole purpose of selling to America’s Imperial Forces puts the issue on another level. Do our leaders’ strategies promise a terrible kind of social stability based on the planned demise of many millions of inconvenient Ghanaians—those the American, Teddy Roosevelt, called Trash People? Or will our neocolonial leaders finally and more likely open the gates of hell once more and usher in another age of chaos magnitudes more devastating than the horrors created by the Trans-Atlantic Slave Trade? First things first so we can gain a deeper meaning. Mr. Akufo-Addo’s new contract with the Yankees breaks two intrinsic Ghanaian Traditional laws. One cannot argue that (1) the action is in the interest of Gas. It goes against Ga-Dangme Traditional Law from which judicial setting these public lands were seized that a foreign military can dock on its soil, and (2) one cannot argue that the purpose for which these lands are being condemned is any longer for the so-called greater Ghanaian good. That is, it flies in the face of the argument for Eminent Domain. A foreign military occupation, condemnation or seizure of Ga-Dangme land is a direct act of war first against all Ga-Dangmes. More, beyond the illegal condemnation of Ga Traditional lands by the government of Ghana in the name of Eminent Domain for the purposes of selling to the United States of America for 20 million dollars, there’s a more pertinent issue of our unified existence as Ghanaians that is also at stake. That of our Sovereignty. The presence of the Imperial Armed Forced of the United States (IAFOUSA) presents a real threat to our sovereignty. Worse, “the potential for escalation into a bigger real and psychological threat on the minds of ordinary Ghanaians remains an issue much in the likeness of colonial occupation.” There are simply enough clauses in the new agreement that Mr. Akufo-Addo signed that gives IAFOUSA room for such an evolution. America does not have to invade Ghana for it to constitute a concern. At the moment, endowing a territory within Ghana that is allocated to the Imperial Armed Forces of the United States of America, with the attributes of an embassy is an act of ceding Ghanaian sovereignty. It is treasonous. Hence the question must be asked: Is Mr. Akufo-Addo competent when he makes the lame excuse that the renewal of the military contract with the United States is not his decision, or that his hands are tied? Is he a Christmas goat in Ghana or a Thanksgiving Turkey in America? The president claims that the new contract he signed (although his hands were tied) mimics a 1998 Mission Agreement and that he’s done nothing new. Which is not true, Mr. Akufo-Addo has clearly ceded Ghanaian sovereignty and has also extended immunity to American military service personnel—as he would diplomatic personnel. How is the president able to make a case to Ghanaians—without exposing his insanity—to see a company or battalion of mercenary soldiers as diplomats for life, or how is he able to argue strenuously—without gaining admission to a substance abuse clinic—that IAFOUSA are comparable to soldiers on peace keeping officers or similar other personnel? Furthermore, it must also be understood that the backdrop to this whole nonsense is that the so-called mission for which the 1998 Agreement was signed has lapsed. For good reason. Hence for what compelling argument does the President of Ghana have for signing a perpetual extension? What geopolitical circumstance—at the moment—warrants the presence of United States Imperial Air and Land Forces in Ghana? Nothing. Absolutely nothing! 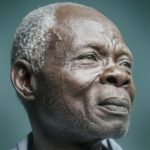 The president and his men are yet to mention a substantial reason why American Imperial Forces, or USKKKAFRICOM, should be given access to seized traditional lands and Ghanaian public facilities and locations—with all the exemptions and inspection waivers that come with it—to freely roam the country like colonial mercenary armies. More yet, should Ghanaians now compound the risk that we and most other countries face with an Atomic Bomb wielding nation like the United States by ceding territory? Should the rest of the world now grant diplomatic missions in all countries to whole infantries of military personnel from the United States? It would seem odd, if not completely stupefying, if Mr. Akufo-Addo fails to comprehend that going beyond the scope of international diplomacy and giving the same license to American soldiers, who are essentially Amerikkka’s warriors, serves only one purpose, and one purpose alone. It magnifies Ghana’s exposure for a hostile takeover by the Imperial Air and Land Forces of the United States of America. Is Mr. Akufo-Addo competent enough to understand that a loss of sovereignty over a piece of the country to a foreign military force is no sovereignty at all? Does he understand that the loss of sovereignty need not be total yet, but that this new contract with IAFOUSA represents a real step towards a total loss of sovereignty over our lands and our lives? Does he understand that this clandestine, and foolish step is absolutely needless? Is Mr. Akufo-Addo competent enough to understand these things, or is he just another Christmas goat in Teshie (Under Rock), or a Thanksgiving Turkey in Little Rock, Arkansas?